Providing you the best range of nylon rod for washers with effective & timely delivery. Picked up respectable position as a producer, we are immersed in offering Nylon Rod for Washers. Created by fusing expulsion system, our offered bars are widely requested to be utilized as a part of course, grommets, nuts & fasteners, washers, cams, riggings, shafts and pulleys. Separated from having physical and mechanical properties, these bars are known for their gimmicks like great effect safety, heat safety, great stun engrossing properties, non-inflammability, strength and scraped area safety. 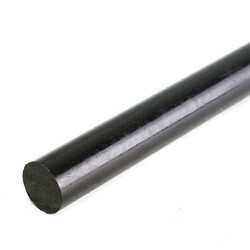 Looking for Nylon Rod for Washers ?